We all prefer to keep business and personal lives separated by SIM cards and don’t want to bother swapping them out of one phone, Ullu’s marketing manager Manish Hazarani told Cult of Mac. Should Apple ever develop a handset with two SIM card slots, Hazarani said people will carry one less phone and the niche market for the two-phone case will dry up. 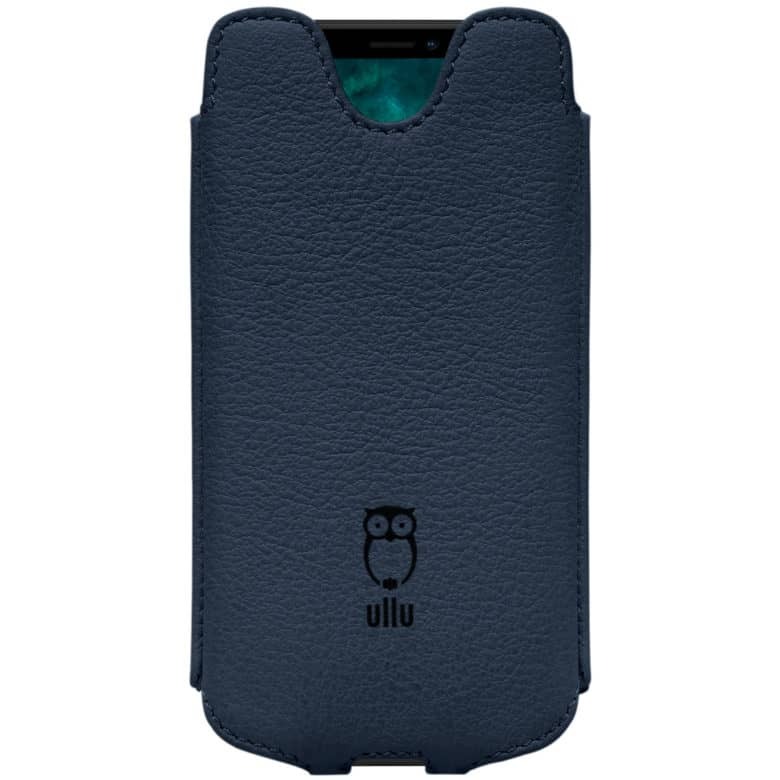 For now, Ullu’s premium leather Dual Case will generate periodic orders, each costing $199. When one iPhone is not enough. Ullu’s Dual Case holds two. Ullu’s founder has a love for Berluti shoes and he wanted the feel of that same luxurious leather in the hands of the iPhone user. Each case is made to order by leather workers in India and so customers are told it takes seven days before an order is ready to ship. Ullu concentrates on the Apple customer because of its coveted status in the Middle East. It makes iPhone cases, but also a range of Apple Watch bands, shoulder bags for MacBooks, a desk mat and mousepad, and even a leather slipper for the base of an iMac or Thunderbolt monitor. The rise of Ullu, Hazarani says, is thanks in part to the uncertain strategy of sending free high-end cases to A-List celebrities. ullu did this with hopes that these cultural superstars would use the case and be seen in published photographs carrying an ullu case. The Dual Case has hand-crafted leather compartments for iPhones. The dual cases are particularly popular with some of the region’s ruling families, royalty from the United Arab Emirates, Qatar. and Oman, though some orders come from China and Hong Kong. Some iPhone users even go between networks as one might offer cheaper data while the other less expensive international calls. The royals, Hazarani said, are press shy, but are seen in public places, like malls and restaurants, more commonly than public figures in other countries. This also brings visibility to ullu cases. 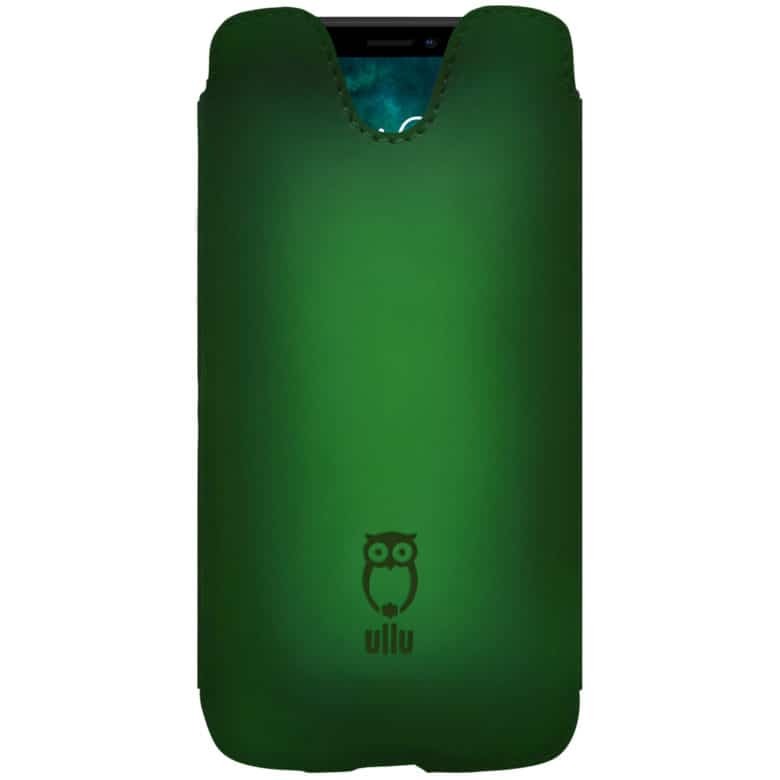 Hold two iPhones in Ullu’s Dual Case made of full-grain or hand-colored leather. 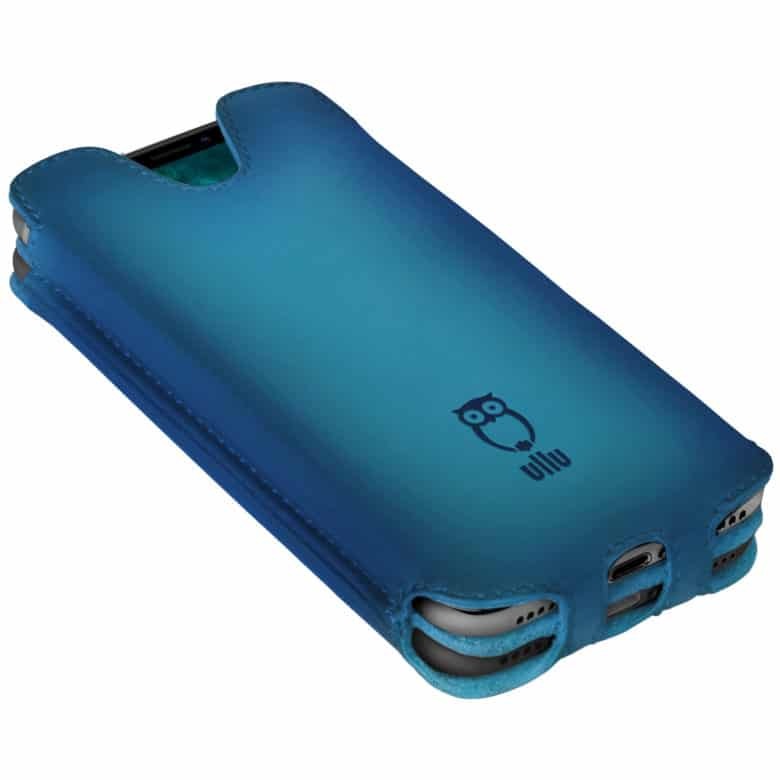 The Dual case is like a wallet with compartments to slip the phones in an out. The Dual 2 case positions the phones back to back to keep each screen visible. They are attached by a magnetic divider and can be separated. The dual cases are far from ullu’s big money maker. The company has sold about 200 Dual Cases and roughly 150 Dual 2 Cases. Because of the need for two phones, Hazarani said the smaller handsets are more popular and no one wants to carry two Plus-size iPhones. However, Hazarani said sales on the dual cases have slowed because people in the Middle East can’t resist having an iPhone 7-Plus with the dual-lens camera. In this case, the second phone is a smaller model. Hazarani emailed a screenshot of an order summary with the names redacted. The wealthy customer ordered 18 dual 2 cases for a family that had recently purchased the same number of iPhone 7s. The cases alone totaled $3,621.95. Hazarani said people in the UAE do not get their iPhones at a discount as part of a service contract, so the family likely paid full price for each phone. “People in Dubai like to spend a lot of money,” he said. Shop the Dual Case for iPhone XS and XS Max as well as Ullu’s entire lineup of great cases to outfit that new iPhone.